Best known for their skincare oils, Eden’s Semilla is a trusted brand on Amazon for pure and simple beauty products to add to your routine. “Semilla” means “Seed” in Spanish, as the brand's name was inspired by the Rosehip Seed Oil, which was their first product released online. The newest additions the range are a Hyaluronic Acid Serum ($26 for 30 ml) and the 25% Vitamin C Serum ($18 for 15 ml) which I've been loving over the past few weeks. Depending on the weather, my diet, stress levels, etc. my skin requires varying kinds of attention. Sometimes I'll have breakouts (which just get worse with picking, believe me), and other times my skin will be beautiful. One thing remains the same: if I'm getting good sleep, exercising, staying hydrated and maintaining a simple skincare routine, everything will be smooth sailing. I've also noticed that using pure oil as a moisturizer is no longer working in my favour - my pores are getting noticeably congested. This is where my love for hyaluronic acid comes back into play. First mentioned in my favourite nighttime moisturizers, I'm always on the lookout to try high quality, fragrance free serums and moisturizers for my combo skin. Both of these powerful serums from Eden's Semilla look cool, and work even better. I haven't had any irritation after 4 weeks of consistent use, and the concise ingredient lists speak for themselves. As we age, our skin loses it's ability to remain hydrated, resilient and, well, youthful. 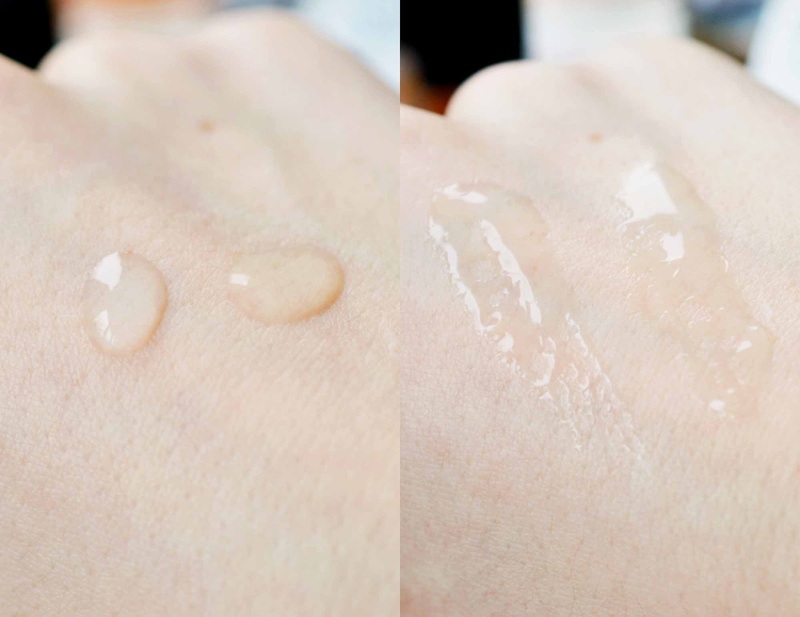 One pea-sized drop of these serums used at night (and the hyaluronic acid in the morning) can make a huge difference in your skin's appearance - immediately. You can tell that the yellow-toned Vitamin C Serum is packed with a higher dose of the antioxidant ascorbic acid to brighten discolouration and keep the overall skin surface looking smooth. The Rosehip & Jojoba oils will also help improve texture and heal blemishes with continued use. Though I don't have a ton of sunspots to report on, I noticed instant radiance and a huge jump in plumpness when I began to use these intensely hydrating serums. They feel like water, and absorb right away into the skin. In the winter I struggle with dryness around my nose and chin, so the Hyaluronic Acid Serum has been amazing as a light moisturizer under makeup. Combined with Vitamin E, Retinol and Aloe Vera, the Hyaluronic Acid Serum immediately reduces redness, and gives me a plump moisturized look with no oily residue. Need an extra boost in the morning? Keep your Hyaluronic Acid Serum in the fridge! I was also very impressed by the dates of manufacture and expiration on these serums - they're packaged well to ensure a long shelf life. Vitamin C is a potent antioxidant protection against premature aging caused by free radicals found in the environment; air pollution, the sun and other everyday contaminants. Vitamin C is essential for the production of collagen, a protein that keeps skin firm, elasticated, strong and healthy. Hyaluronic Acid is a super charged ingredient, and what the skin produces naturally to retain moisture - making the skin softer and smoother. Half the body's supply of Hyaluronic Acid can be found in the skin. Our super strength Hyaluronic Acid Serum attracts moisture from the environment providing a protective barrier for the skin, locking in lost moisture. It reduces the signs of puffiness, wrinkles and fine lines leaving a more radiant, healthy looking glow. Retinol, the superstar of all round skin protection targets fine lines and wrinkles. Vitamin E is a powerful antioxidant containing anti-inflammatory & wound healing properties. An excellent moisturizer that is easily absorbed by the skin. Organic Rosehip Oil & Jojoba Oil are nature's gift for healthy looking skin. A wonderful blend of natural ingredients perfect for all round protection. Highly absorbent, non greasy and perfect for sensitive skin. A wonder product that, on it's own, can be used to treat acne, dry or irritable skin and can even help to reduce signs of scarring, stretch marks, skin pigmentation and more. Organic Aloe Vera and Shea Extract are some of the best natural moisturizers available. This unique combination aids in the hydration process and provides all-round protection. Eden's Semilla offers a 100% no risk no questions asked money back guarantee. If you are not completely satisfied with the product, they'll provide you with a full refund. Better yet, the shipping time was only 1 day after placing my Amazon order. With their collection being "vegan friendly" and not tested on animals, I'd recommend Eden's Semilla serums any day.